There are many different types of eBook readers. Today’s market is saturated with all kinds of models. There are LCD and eInk devices, color and monochrome, open and proprietary, with and without Wi-Fi, 3G and whatnot. Prices for new devices range from about $80 to more than $300. Which one is right for you? This guide will help you get a better understanding on what’s on the market. Traditionally, eBook readers have been equipped with two kinds of screens: LCD displays and eInk. Depending on your needs and wants, choosing a reader with one or another is a principal decision as the type of a display determines essential things about your eBook reader. Passive, monochrome LCD screens were the first on the market. These screens were used in Rocket eBook of 1998, a revolutionary series of eBook readers that pioneered the industry. Today, monochrome LCD screens are ancient technology. While offering reasonable power consumption, these displays provided dismal contrast, were difficult to read in anything but bright light and offer no single benefit over today’s eInk screens. If you ever see a monochrome LCD-based eBook reader, just don’t buy one. The cheapest eInk reader will be miles ahead. eInk readers are cream of the crop. The eInk technology offers paper-like reading experience. These screens render text in a way making it look and feel much like text printed on paper. These screens have a reasonably bright white background; they don’t flicker or emit light, being the least stressful for the eyes. They draw the least amount of power. In fact, eInk displays only draw power when you browse your collection or flip a page. They don’t consume power when you’re reading the page, which makes them perfect for long trips. eBook readers with color LCD screens are relatively new. Just a few years ago, color LCD screens were just too power-hungry to be used in a reader. Today’s energy-efficient LED backlighting technologies allowed building tablets with bright color screens that still survive 8 to 12 hours of reading between recharges. There are numerous advantages to these color eBook readers. As these devices are usually Android-based tablets, you get the full (or restricted, but often unlockable) functionality of a good Android tablet for the price of a reader. You can do much more with these than just read books on them. Thousands of applications are available for these readers. Games, productivity apps, organizers, children educational tools, audio books, interactive books and interactive encyclopedias can be installed and used on these devices. 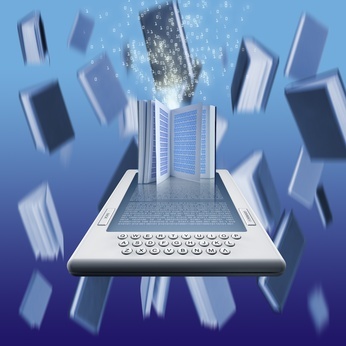 Most Android-based eBook readers have built-in Wi-Fi allowing the readers connecting to the Internet. This opens the possibility of browsing the Web, chatting, socializing, reading and sending email. In general, these eBook readers are much more versatile than their eInk-based counterparts. Downsides of this versatility are increased power consumption requiring a larger battery, much more bulk and weight compared to your typical eInk reader. Color LCD screens are backlit, which can be convenient when using them indoors but not quite as much when reading in bright sunlight. Backlight also means more strain for the eyes. LCD screens are usually shiny as opposed to matte, paper-like eInk. Generally speaking, LCD-based, Android-powered eBook readers are a better choice with interactivity, connectivity, entertainment and versatility in mind, while eInk readers are better for quiet reading with maximum comfort. Examples of such readers include Barnes and Noble Nook Color and Nook Tablet , and Amazon Kindle Fire .